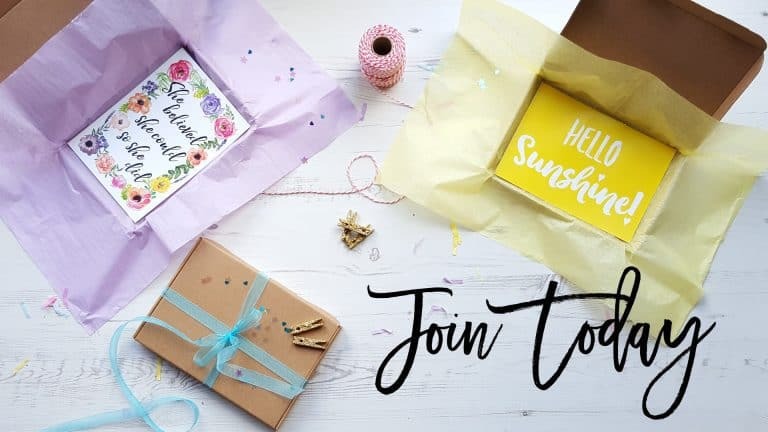 I have so many favourite subscription boxes and I love receiving all of them but I have to say that the box I look forward to the most is definitely Treatbox. 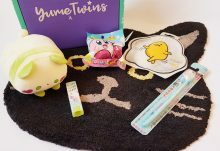 I adore the presentation and selection of items in each box as well as the cute themes. I also like the mystery of the boxes and because the boxes themselves are so thin (but filled with items), they can fit through my letterbox. Let’s start with one of the most unique items from the box and a type of item that I don’t think has been included in a Treatbox before. It’s a craft kit to make a mini rainbow out of felt. 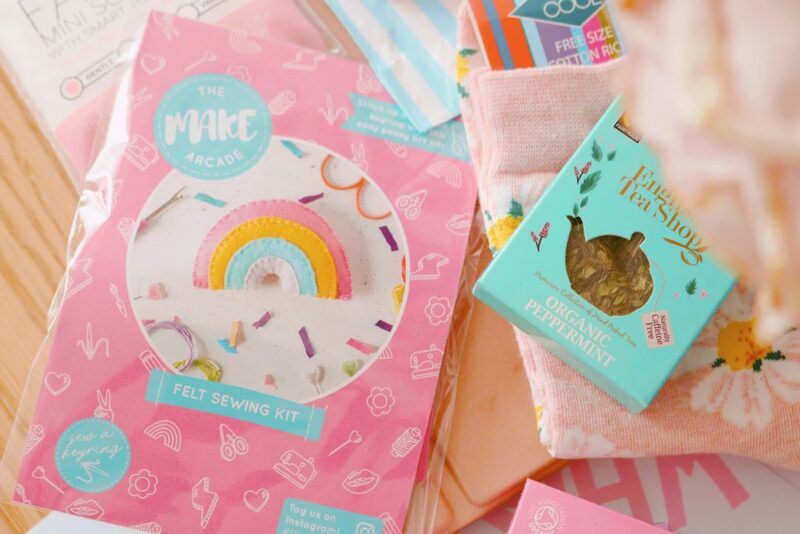 There’s everything you need in the one kit, it’s a cute little project to complete and you get a little adorable keyring (or badge) as a result. Next up is another cute item and it’s a set of three teabags. 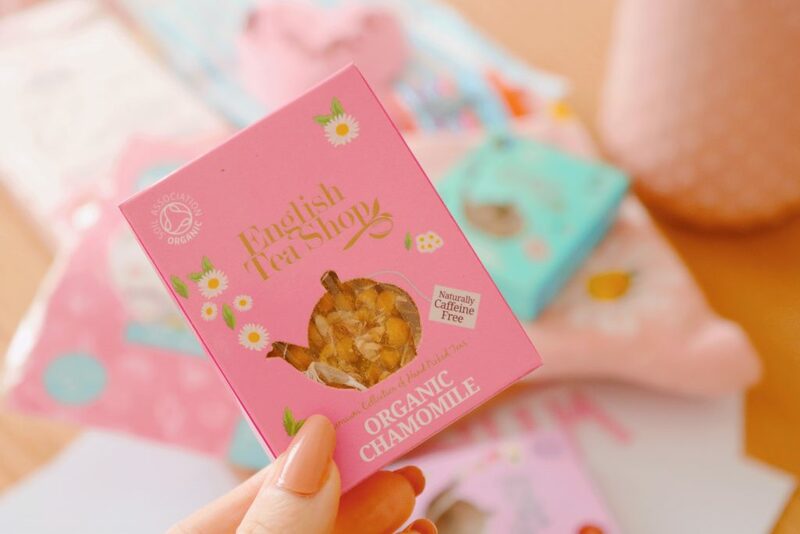 The flavours include: peppermint, organic chamomile and the last one is my favourite, apple, rosehip and raspberry ripple. They’re all naturally caffeine free, they all contain organic ingredients and the packaging is adorable. I love the last flavour I mentioned and I can’t wait to try the others. 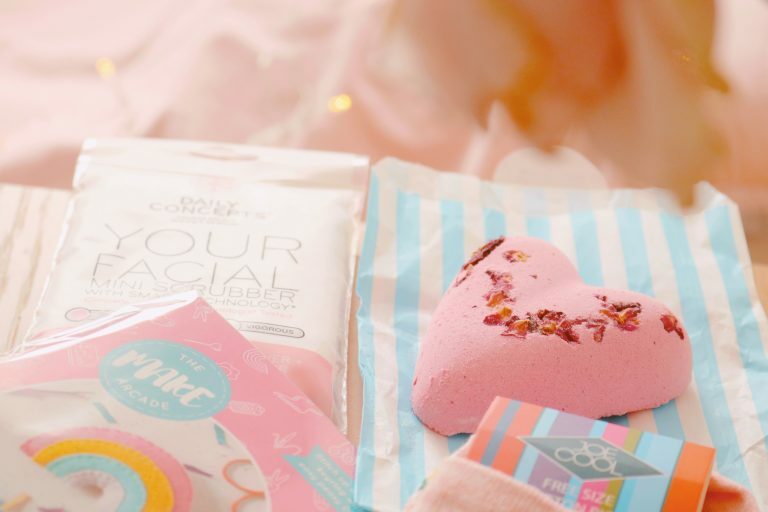 Out of all of the items in this months box, I think my favourite is this gorgeous bath bomb but it’s tied with the cute socks. As soon as I opened the box I could smell this bath bomb immediately! 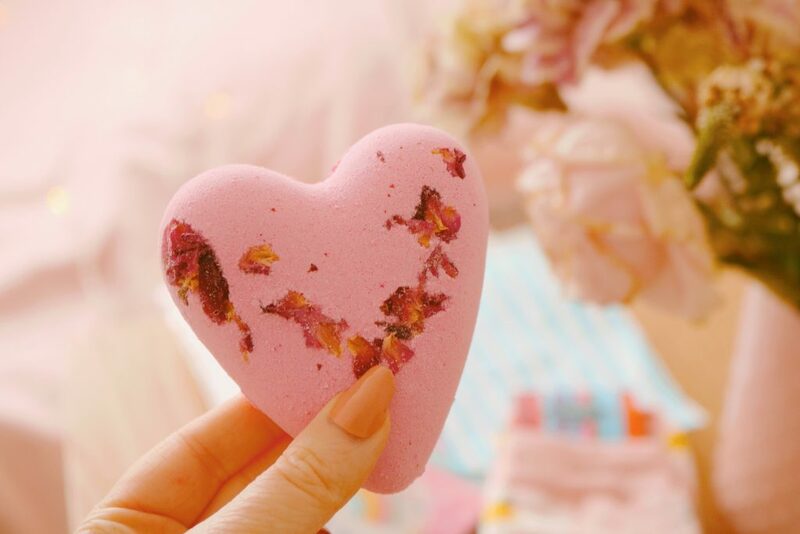 The scent is heavenly, it’s very floral and sweet and perfect for spring. I cannot wait to use this bath bomb as the petals will look very pretty in the water. The second and final beauty item is one I’ve received in a box before but I can’t remember whether it was a Treatbox or another. I love travel items like this as they come in so handy for weekends away. 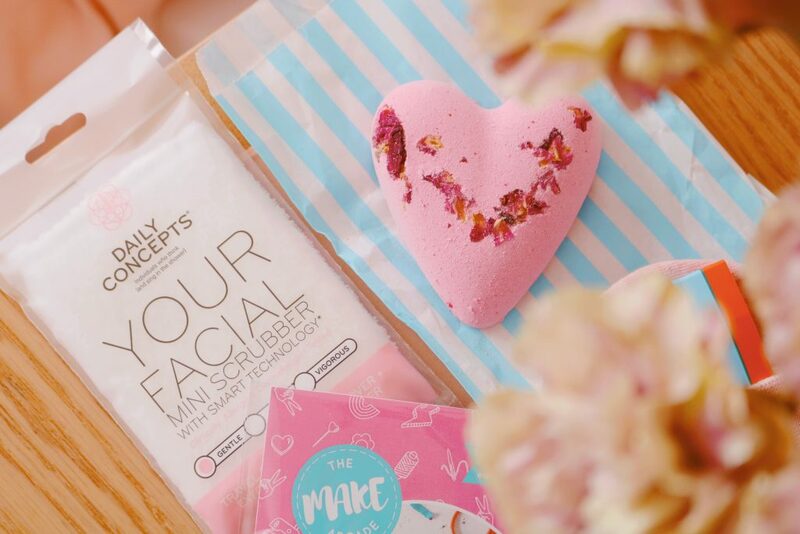 It’s the ‘gentle’ option which is ideal for my sensitive skin. I am going to Edinburgh next month so I’ll definitely be taking this with me. Usually I don’t like repeated items in subscription boxes but these socks are the exception. I’ve received at least two pairs of socks from this brand in a previous Treatbox but I’m SO happy that there’s a cute floral pair in the March Box. I absolutely adore the colour and designs of these socks! Last but not least is an item that is not only unique but it’s very cute too, as everything in this box is. 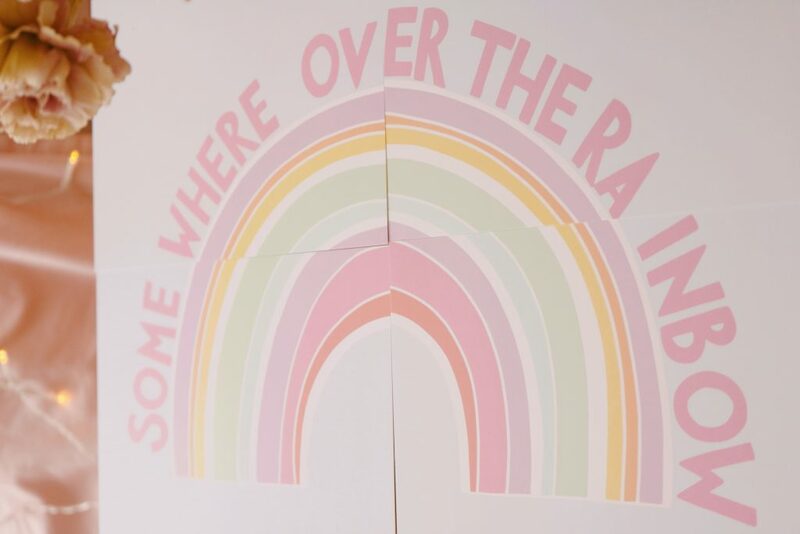 There’s usually a print of some kind within each box but this month, they’ve created a cute interconnected art work that spells out ‘somewhere over the rainbow’. The pastel shades are gorgeous, I love the simple design and I think it would be great in a frame. 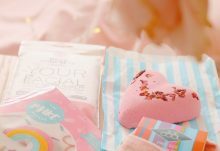 Overall, I'm extremely happy with the April box with my favourite items being the floral socks, craft kit and the gorgeous bath bomb! 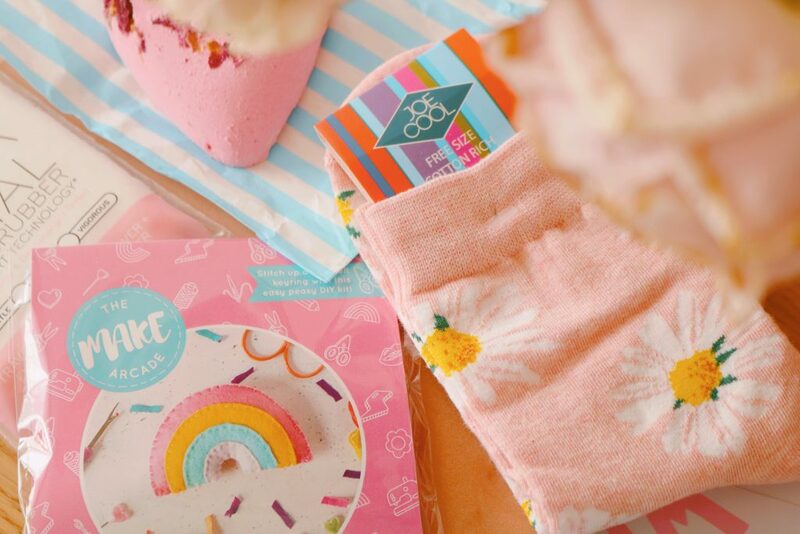 I love the pastel and rainbow theme of the box and the range of items included. 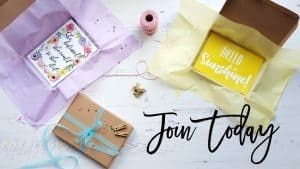 If you're looking for a unique mother's day or easter gift then check out Treatbox. How would you rate TreatBox ?